Steve Hansen has named Richie McCaw at blindside at started heartbreaker Ryan Crotty in the centre. Sorry, Dan. You're off waterboy duty this week. New Zealand fly-half Dan Carter will make his first Test start in almost a year and James Parsons is set to debut against Scotland.Carter, 32, last started in November last year in a clash against England, but a six-month sabbatical and broken leg have limited his playing time in 2014. But coach Steve Hansen has named Carter at number 10 for Saturday’s meeting with Scotland at Murrayfield. Of the 23-man squad that edged England 24-21 last time out, 11 players remain. Parsons gets his opportunity, having been called into the squad after Nathan Harris was sent home with an ankle injury. All Blacks captain Richie McCaw will make his first ever appearance at blindside flanker. “We have had a good week’s preparation so far, there is a spring in the step of the team and real excitement looking forward to the Scottish Test,” Hansen said.”We have a lot of respect for the Scots and, like all Northern Hemisphere teams, know that they will bring a lot of physicality to the park. “However, we also expect them to want to move the ball, particularly from any turnovers or free kicks. That style certainly suited them last week and makes them, we believe, even more dangerous. Locks Brodie Retallick (shoulder) and Patrick Tuipulotu (shoulder) are sidelined. Email “Dan Carter back at the reins in much changed All Blacks XV to take on Scotland”. 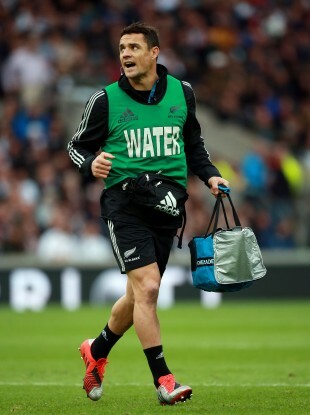 Feedback on “Dan Carter back at the reins in much changed All Blacks XV to take on Scotland”.